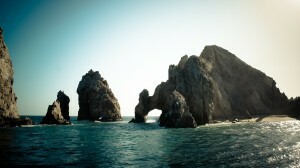 Baja California Sur has become a popular tourist destination with its climate and white golden beaches. It is famous for big animals like mantas, whale sharks and hammerheads. Apart from the large marine life, it also has over 5,000 species of small animals (macro-invertebrates), making it a UNESCO World Heritage Site. Most of the diving activities take place in the Sea of Cortez (the Mulege, Cabo Pulmo, Loreto, La Paz and Cabo San Lucas). Also famous (and popular) are the Islas Revillagigedos, which is a typical liveaboard destination. Dive sites include walls, rocky bottoms, overhangs, reefs and a number of wrecks in the Sea of Cortez, including Fang Ming, La Paz 05 and the Salvatierra Wreck.